Purpose: Because of increasing interest in the concept of “Functional Foods” and “Health Claims”, the European Union set up a European Commission Concerted Action on Functional Food Science in Europe (FUFOSE). The report takes the position that functional foods should be in the form of normal foods and they must demonstrate their effects in amounts that can normally be expected to be consumed in the diet. 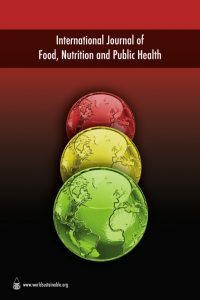 Methodology: Currently, health concerns of communicable and non-communicable diseases have necessitated investigating into options for dietary interventions including the role of tailored food recipes (e.g. Amtewa meal) in HIV/AIDS management. HIV infection increases energy requirements through increases in resting energy expenditure, reduced food intake, nutrient mal-absorption, negative nitrogen balance and metabolic alterations that lead to weight loss and wasting. Findings: Preliminary evidence indicated that improving nutrition status with Amtewa meal might improve some HIV-related outcomes. This perhaps answers the urgent need for renewed focus on and use of resources for nutrition as a fundamental part of the comprehensive package of care at the country level. Value: The expected outcome of this research will have direct effect on 90% of HIV infected subjects in West Africa vis-à-vis slowing down /eliminating the progression of HIV to AIDS.